This location has closed it's doors. Please visit us at our Scott Township location! 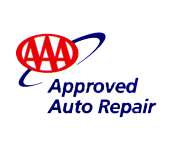 Looking for an auto repair estimate for parts or service in Bridgeville, PA? Since 1999, MJ Automotive Service Center has been delivering professional and competitively priced auto repair to the Bridgeville area. Today, people want to hold on to their older cars or trucks longer, and we understand. That's why we provide preventative maintenance like oil changes and other typical services including 4x4 Services, Alignment, Brakes, Car & Truck Care, Domestic Cars & Trucks, Electrical Services, Electronic Services, Engine & Transmission, Engine Maintenance, General Services, Heating and Cooling Services, Import Cars & Trucks, Inspections and Emissions, Miscellaneous Services, Tires, Towing, Transmission Services and Undercar Services that older vehicles often need. Trust MJ Automotive Service Center, where we understand what you are looking for in auto repair. At our shop, customer satisfaction is the ultimate goal! It was the last day in my inspection period. I had made an appointment at Wright Automotive in Carnegie, where I had always taken my Pontiac. When I got there, I had found they had moved to Wexford and hadn't mentioned it on the phone. I didn't want to drive all the way out there, so I stopped at MJ Automotive. Mike fit me in and I got my car inspected that day. His prices were very fair and you can be sure, I will be back. Honest Auto Mechanic My husband had what we thought was a transmission issue but it ended up being a $200 fix. They could have easily charged us $4k for a new transmission. I love them!!! I drove over the weekend with out heat in my car. today I took it there an hour I was out with heat. I would recommend them to any one who is looking for an honest and fair garage. I have been dealing with Mike for 15 years. He is an honest business owner doing honest work. This is the most honest, down home, trustworthy business that I may have ever come across. I do not have enough nice things about these wonderful men. We required a custom hitch installation and we were on a tight budget, Mike Wega, Dave and Sam worked with us to engineer a solution and install our hitch. Service was timely. The staff were all friendly. We look forward to getting all of our future car work done there. If you are looking for a new place, we encourage you to go here to MJ Automotive. We went to the location by Saint Clair hospital in the South Hills and it was great! I highly recommend them! Have been coming here for years. They are trustworthy with reasonable prices. This place is awesome. They saved my husband's life earlier this week. Our truck started having problems while he was on the way to work and this was his first time coming here. They're a little isolated so he was really worried about having to leave the truck and take an Uber to work and then pick it up later. They seemed really busy so he assumed it would take a long time before anyone would be able to get to him. To his surprise, a mechanic came by 10-15 minutes later and stopped what they were doing to take a look at the truck. They had him back on the road in another 15-20 minutes (a total visit of half an hour) making him only an hour late for work. All of the staff were really polite and professional. We can't say enough good things about this place. We'll be coming back here for all of our automotive needs from now on. Truly the best. The people at MJ are reliable & respectful. Service is explained in layman's terms prior to the work being done. I never feel ripped off, they don't suggest anything that is unnecessary, and we've never had any surprises when it's time to pay the bill. I always feel confident the work has been done well. I will not take my car anywhere else. I went to get the plastic underneath my car screwed back up because it was hanging down. A gentleman went off of lunch early to do it for me and then they didn't ask me to pay for the labor or screws. Not having an appointment and having them fix it right away was very convenient for me and I will be returning for anything needed for my car in the future. Highly recommend them. Such kind people, with a nice place. MJ Automotive has been taking care of our family for decades!! !